I’m so glad you’re interested in the 90-day Spring Forward private coaching program! In this program you will receive a one-on-one opportunity to deliciously reach your health goals in 2015. Instead of embarking on a diet to help you lose weight or “fix” some issue, we’re going to create a delicious lifestyle that will allow you to attain your short and long term desires. Instead of giving you a prepackaged program like my 21-Day Vegan Blueprint, this one-on-one coaching will be customized to suit you, and only you! That means success even sooner. Since I have a limited amount to spots available for private coaching, I’ve put together a quick application for the program. The application below is as much for you as it is for me. My intention is for you to find clarity with what it is you’d like to accomplish with your health and happiness during the rest of 2015. Perhaps you’d like to lose weight, and start taking dance classes. Or maybe you want to increase your energy, and start a new business. Whatever your desires, I’m going to help you attain them. The information you share with me below will remain strictly confidential, as will any thing you share if we begin working together. Please feel free to email me if you have any questions about my private health coaching, or this program in particular. 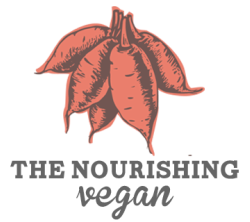 $100 off for Vegan Blueprint members! but I'm offering it at a discount of $650! Plus freebies and discounts to classes/dinners/other programs I offer, and products.